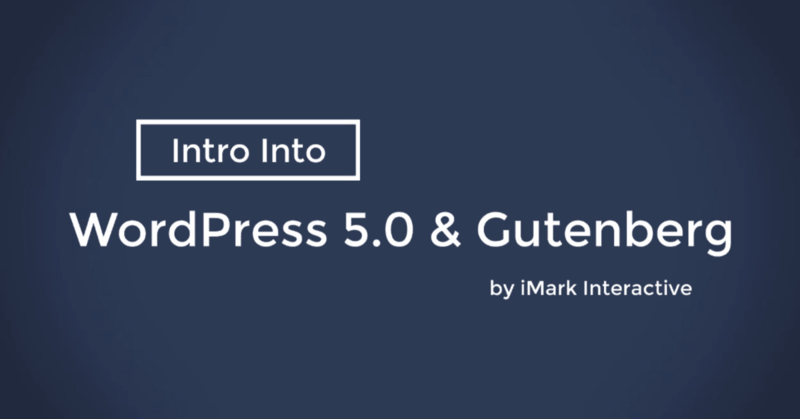 WordPress 5.0 With Gutenberg Is Here, Plus Video Demo! I’m sure you’ve heard about it, but now it is actually here!. That’s right, WordPress 5.0, with the new Gutenberg editor was released to the world on December 6, 2018. This update is one of the biggest I’ve seen since I started on WordPress back in 2004. I’m excited and nervous at the same time. Big change often leads to panic. Don’t let the fear paralyze you into not doing something about this. The sky is not falling! If you’re here just for the video about Gutenberg, you can check it out below. We’ve been playing around with Gutenberg for about nine months now and while there are some bugs, we see the upside potential in it. It’s not as bad as many say, but there will be a lot of bugs that still need to be fixed since they have released it. If you haven’t played with the new editor (nicknamed Gutenberg) yet, then I’d suggest you download the plugin or even try it out on this website. If you’re used the the current editor, this will be a big change. You can see a little Gutenberg FAQ which WordPress put together to help answer some question. There are many factors that go into play here since Gutenberg was released. Most of the issues that will come up will be due to plugins that mess with the post/page editor. Most themes are already compliant as they don’t typically have issues with the editor. There is some word about page builders, but no one really knows how they will react. I do know that Elementor (our favorite page builder) is ready for Gutenberg and has already released support for building blocks with it. They seem to be keeping up with the times and innovating. It’s one of the reasons why we love that plugin. If you use WPBakery Page builder (used to be called Visual Composer), SiteOrigins, Thrive Architect, or the many others, make sure you ask them if they are going to be ready for WordPress 5.0 and the new editor. What Are Your Options for Gutenberg? Once you update to WordPress 5.0, the editor will switch over to Gutenberg. That’s just what is going to happen. If you’re not ready for this yet, then there are a few options. This version is stable and the current one as of this article. For our WordPress support plan customers, we almost never update a WordPress site with a huge release right at first. The reason is we’ve seen over the past 14 years that every release has bugs. We typically will wait for the sub-version to come out like 5.1 which will fix bugs. We feel this release will have even more bugs to fix due to the massive change. We will be waiting to push the 5.0 release until we see more data. This is also an option for you. If you love to update to the newest software when it comes out, but you’re not sure how nice Gutenberg will be with your site, then you can install the Classic Editor plugin that will stop Gutenberg from running on your site and will keep your editor as it looks and functions now. This plugin is free, so this is an easy option. If you have a hosting plan that has a staging environment, this will be a great way to test your site with Gutenberg. You can install the Gutenberg plugin and try it out no your site without touching the live site. This is a great option. Ask your host for a staging site. If you don’t have one, contact us and we can set one up for you for pretty cheap where you can test things to your heart’s desire. I will encourage your to ask your host first though. Most budget hosts do not have this option. As someone who has been working in WordPress for a long time, I’m excited about the change. The current editor has always left a lot to be desired, especially for new bloggers and businesses owners trying to get onto WordPress. It was never truly a WYSIWYG (What You See Is What You Get) editor like they dreamed it up. Gutenberg helps out with this case, but also extends functionality to the editor to which we haven’t really seen outside of page builders. Will there be issues and bugs? You can guarantee it. This is a huge change and it would be unwise to think nothing will go wrong. I have yet to see a major release in WordPress not have bugs, so I’d be highly surprised if this was bug free. I think there will be more. 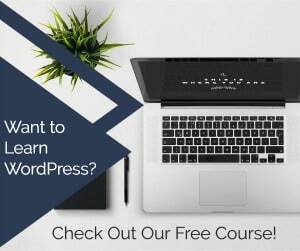 The main thing you can do as a site owner and WordPress user is not panic. That would cause more issues and the sky is not falling. Yes, the editor is going to be different, but as it progresses and features are added, we will get used to it. As noted, I’ve been working in it for 9 months and like what I see. There are bugs, yes, but those will get ironed out. The extended functionality that will come later excites me. If you haven’t touched Gutenberg, now is the time to install it and try it out. If you can get a staging site setup for your site, then that would be ideal. I would suggest holding off on the WordPress 5.0 update when it first comes out. Let some of the big bugs get ironed out after they release it and wait to do your own until 5.0.1 or later. Get your backups setup now if you don’t have them already. 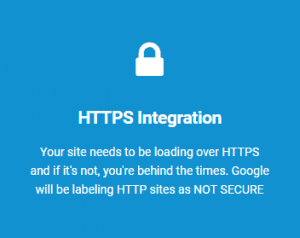 Backing up your site is your biggest insurance policy and many site owners think their hosts do it. Think again. Most hosts don’t have reliable backups running, so take control. By the way, all of our support plans come with daily, offsite backups! 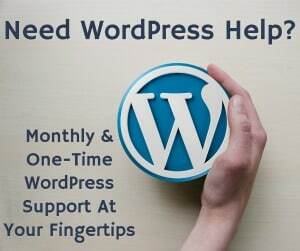 If you’d like more support on an ongoing basis, make sure to check out our WordPress support plans as we will take care of your site for this big update, along with all the other tech aspects that come with it. Think of it as insurance for your business and blog. I’d also encourage you to ask questions. Send us an email or even better, go to our free Facebook group and ask there so it benefits more people. Get ready for Gutenberg my friends. It’s coming! Here’s the Gutenberg video I promised you! This was incredibly helpful! I have kind of had my head buried in the sand when it comes to the upcoming Gutenberg changes. I feel okay about it after watching your video and even a little excited! I definitely see a few things they will need to add or tweak, but I’m sure that’ll happen before too long. Thanks so much! Thanks for the insightful post on WordPress Gutenberg. The new Gutenberg editor has been quite the controversial topic. I agree with you that Gutenberg still has a few bugs that need sorting out. But overall, from my own experience, it is not as bad as many make out. I’ve haven’t been using it for as long as you have but I have created 11 live posts using the Gutenberg editor. All without any major issues. And now I feel like I am creating posts faster than the classic editor with the use of reusable blocks. The posts also feel like they will be much easier to maintain in the long run. Ugh. While I appreciate that WP is trying to make blogging more accessible to people/businesses, it’s starting to look like Gutenberg is going to make it more difficult for old timers like me. Heck, I still work in the text editor 95% of the time because typing target=”_blank” or rel=”nofollow” and manually coding links is still faster for me than using the buttons. I switched from Genesis to a custom WP original theme for the same reason — I know where to find things and functions in the editors and fix them. But it’s starting to look like Gutenberg will be as rough as when I moved from MovableType to WP back in ’04. I survived that, and I suppose I’ll survive this — and your video makes that so much easier to prepare for. And I imagine it’s going to be GREAT for your business as people start to rely on blocks and WP auto-formatting rather than keying in their own h2, h3, div, etc. stuff. 1. Has anyone confirmed that Gutenberg jives with Google? That is to say, are these blocks like divs, and the titles h2, so that the Google bot understands the on-page hierarchy? 2. Do you anticipate WP phasing out the classic editor altogether at some point? As someone who prefers the text editor, that thought makes me pucker. 3. If someone installs Gutenberg and it doesn’t automatically break their theme (i.e., someone like me who isn’t using Genesis), do you think we’ll need to go back through old entries anyway to ensure Gutenberg hasn’t overwritten manual text formatting — by replacing h2, h3, h4, h4, etc. Hi Katie, I know what you mean. I’ve been using Gutenberg and testing it for 9 months and you get used to it and it grows on you. Still many bugs, but they will get filtered out. 1. The code Gutenberg adds is just HTML and CSS really. Should have no issue with Google. All the structure is still the same really with the same HTML tags. 2. While they say they have no intention, I believe they will. Plugins won’t be able to support both editors easily without a ton of work. This will force people to one or the other. 3. Gutenberg doesn’t overwrite your old posts at all. If you do go try to edit them, it will place that old post inside of one large classic editor block, so you can’t really use Gutenberg correctly on that post until you break that block apart.